You know when your car has joined the Junk Cars Club. It’s time to get rid of the clunker that is taking up space in your driveway, garage, or yard. How much effort do you have to put into recycling your old ride? Very little. And the best news? You can get cash for your junk car. A car that is a pain for you to deal with may seem like it’s worthless. Getting rid of a junk car may feel like one more item on your to-do list. But you don’t have to be familiar with how to disassemble a junk car and sell its parts to make money from your junk ride. And you don’t have to trade in your car or give it away just to get rid of it. Your car may not be the best vehicle for you to get around in anymore, but it may be more valuable than you think. Car parts can be worth a lot more than you think: Platinum in catalytic converters. In-demand original equipment. Copper in batteries. And plenty of steel in the body of the car. Plus, you’re doing a good deed for the environment by junking your car. You reduce your personal carbon footprint and landfill waste when you sell your junk car to a recycling center that knows how to deal with scrap car parts and put them back into the manufacturing of new vehicles. Find a recycling center. Look for a Detroit junk car recycling center that accepts all makes and models of vehicles, even if your car has been totaled or no longer runs. 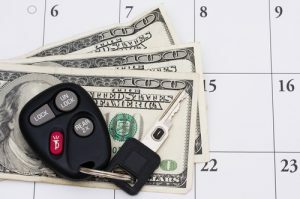 Don’t just dispose of your car – make money from a one-time investment. Get your junk car ready. Clean out your car before you junk your car. You don’t have to detail your car, just make sure any personal items have been cleared out. Have the car title ready before you sell your junk car. You will need to turn over the car title to your chosen junk car recycling center when they arrive to pick it up. Cancel your insurance. Avoid extra costs and fees with your car insurance company by calling them to cancel your insurance before arranging to sell your junk car. Make an appointment. The right Detroit recycling center will come to you wherever you are, whenever it’s convenient for you and tow your junk car, leaving you with cash in hand. Negotiate. Junk cars are assigned a cash value based on their condition as a whole, but also on the condition of the car’s parts. If you believe that your junk car has value, be sure to tell your Detroit recycling center what your junk car offers so you can end up with the most cash in hand when you wave goodbye to your junk car. Ultimately, when you sell your junk car, there is very little for you to do beyond making the call to schedule an appointment and be there when the junk car is towed away. Great Lakes Recycling is the highest-paying junk car buyer in southeast Michigan. We have recycling facilities throughout the state and operate on a “green” level to minimize waste production. When you are ready to sell your junk car or have questions about how to junk your car in Detroit, contact GLR for more information or a free quote.